Allan Holdsworth has been correctly referred to as “a guitarist that even ‘guitar heroes’ look up to.” For over 45 years, his ability to surprise, amaze and transfix listeners with his unique style and technique has been legendary. 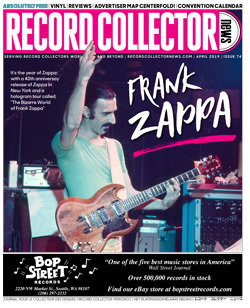 As a sideman or solo artist, his collected body of work has undoubtedly influenced and transformed the modern musical landscape as much or more than any other artist. Guitarist of all stripes acknowledge his inspiration and influence, despite his apparent lack of great commercial success. Allan himself recognized his limited popular appeal, but pursued his muse with a steadfast determination that was unwavering. His various stints as a band member in the 1970s earned him legions of fans that followed his solo career through various phases over the years. Earlier this year, Allan released a solo career retrospective 12-CD box set, The Man Who Changed Guitar Forever: The Allan Holdsworth Album Collection. 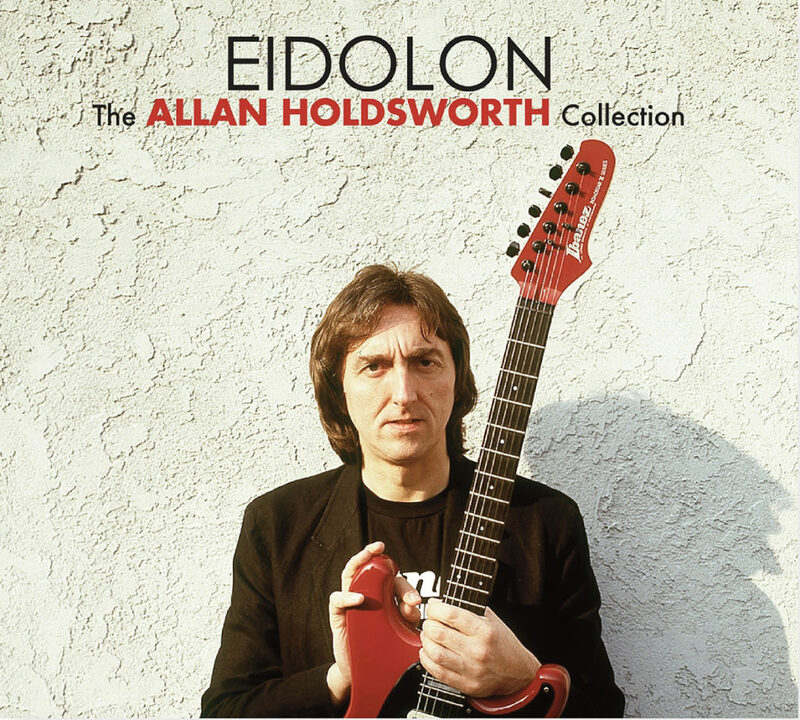 Released at the same time, a 2-CD, “best of” collection entitled Eidolon — The Allan Holdsworth Collection. The 28 tracks on Eidolon were selected by Allan himself, from the 11 studio albums he released from 1982-2003: I.O.U. (1982), Road Games (1983), Metal Fatigue (1985), Atavachron (1986), Sand (1987), Secrets (1989), Wardenclyffe Tower (1992), Hard Hat Area (1993), None Too Soon (1996), The Sixteen Men Of Tain (2000), Flat Tire (2001) and Then! 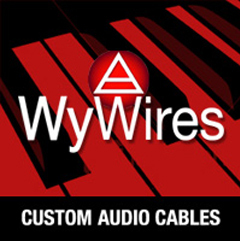 (2003). Disc 1 opens with the title track from his last group studio recording The Sixteen Men Of Tain, which aptly sets the stage for this remarkable collection. It is jazz played as only Holdsworth can, with traditional approaches quickly left behind by his extraordinary solos and riveting technique. Two more tracks from that record follow, showcasing Allan at his best in this trio format, with Gary Novak on drums and Dave Carpenter on bass. Next, a pair of tracks from his 1996 release “None Too Soon,” which feature an expanded group format, adding keyboards to the mix. The inimitable style and approach Allan displays here takes these traditional pieces into another realm. Having Gary Willis on bass and Kirk Covington on drums creates a monster rhythm section, rounded out by Gordon Beck on keyboards. Continuing his way back in time Allan selected three tracks each from Hard Hat Area(1993) and Wardenclyffe Tower (1992). Both these albums feature Steve Hunt on keyboards and Gary Husband on drums, with Skuli Sverrisson on bass for Hard Hat Area and Jimmy Johnson playing bass on Wardenclyffe Tower. Allan has remarked about Hard Hat Area in particular “We toured with that band for quite a while. We played quite a bit of those tracks before recording the record.” It is quite clear that the band achieved their stated goal of capturing their live dynamics in the studio. Still moving back in time, Allan chose two selections from Secrets (1989) which feature Vinnie Colaiuta on drums and on one track, Alan Pasqua on acoustic piano. Closing out disc 1 is “an alternative Jack Bruce vocal version” of “Road Games,” from his 1983 album of the same name. This track has long been a fan favorite, and easily stands the test of time. Disc 2 picks back up with a third track from Secrets, this time with Chad Wackerman on drums and keyboards and Bob Wackerman on bass. Continuing the reverse chronology, we have two tracks from Sand (1987), an album which heavily features Allan playing SynthAxe. As we continue back into his most prolific SynthAxe period, Allan chose 2 tracks from “Atavachron” (1986) which once again feature Gary Husband on drums and Jimmy Johnson on bass. For Metal Fatigue (1985) Allan’s band consisted of Chad Wackerman on drums, Jimmy Johnson bass and Paul Williams vocals. The three tracks Allan selected from this album begin with the title track, whose stunning opening riff is as jarring as it is infectious. It is the last record Allan made with his original I.O.U. vocalist Paul Williams. The next track features the only acoustic guitar solo in the collection, and finally a killer track that long remained a staple of his live shows. 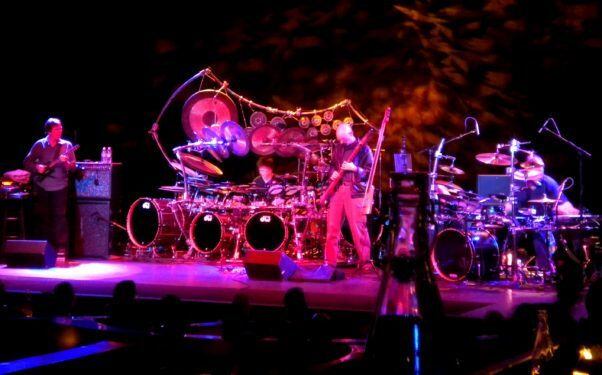 To 1983 now and a pair of tracks from Road Games, his one album for Warner Bros. Chad Wackerman again on drums for these tracks, along with the unmistakable virtuosity of Jeff Berlin on bass. Closing out this reverse chronology, a pair of tracks from the first Allan Holdsworth solo album I.O.U. from 1982, with Gary Husband on drums, Paul Carmichael on bass. Two more tracks close out the disc, one from Sand and one from one of his last studio albums Flat Tire, which is Allan Holdsworth playing SynrhAxe solo. Eidolon: The Allan Holdsworth collection covers a lot of ground, and many years. It is an excellent sampler of the prolific career of a true musical genius, and will probably whet your appetite for the box set. Whether you are a long-time fan, or you never even heard of Allan Holdsworth, this collection is definitely worth owning and listening to extensively. It is very sad to note that Allan Holdsworth passed away unexpectedly on April 15, 2017. Dave Kephart is an independent broadcast engineer/producer in Thousand Oaks, CA. 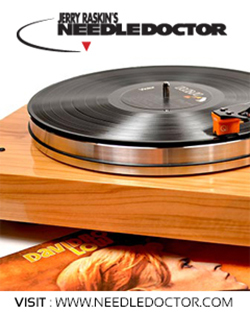 He engineered “The Lost Lennon Tapes” when he was with Westwood One Radio. He will be missed more than words can describe. These must be the End Times as it is hard to imagine the music landscape without him.